Last week, Lady Gaga returned with her first new single in quite a while, dropping "Perfect Illusion." The rock'n'roll lean to the track can partly be traced back to a co-production credit from Tame Impala's Kevin Parker (alongside Mark Ronson and Justin Bieber's "Sorry" colleague, Bloodpop), and the Aussie musician has now discussed the collaboration in a new radio interview. Speaking to Triple J, Parker admitted that the project started off as a "career move," describing his initial thought process as: "Oh yeah, I'll get in on that." But as work on the song progressed, he said, "it quickly became something so personal and meaningful for everyone involved. I'm just happy it's all out in the open now." Continuing to heap praise on the project, he added, "When you actually meet the people behind the scenes, it's not just this big corporate world. It's actually full of people full of passion and drive." Gaga also had nice things to say about the joint effort. She previously told BBC Radio 1: "We stripped everything away. I sat at the piano, Kevin was on the guitar and Mark was at the bass and we just played through it and I worked on a typewriter and we would bounce new lyrics back and forth. What was important to me was it wasn't just a song about any illusion but one we can all relate to. That's how we came up with the title 'Perfect'. But I have to hand it to Kevin he is a real musical genius." Triple J brought up Gaga's choice of compliment on air, to which Parker responded, "No way! I'm gonna put that quote on our tour poster: 'A real musical genius' — Lady Gaga." 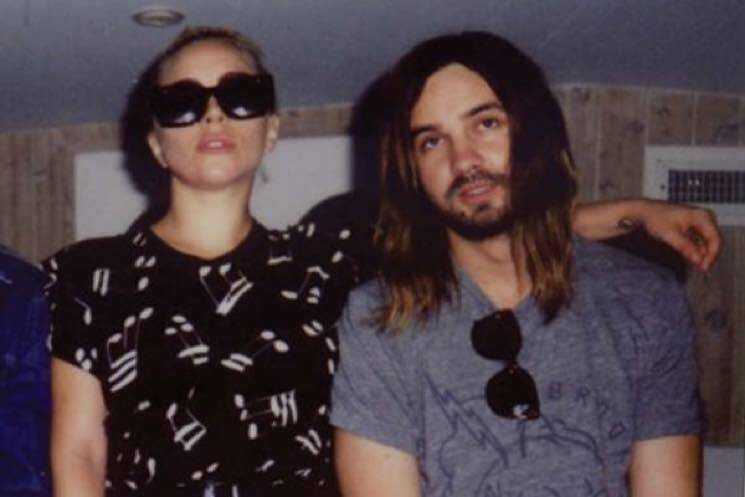 "Perfect Illusion" wasn't Parker's first foray into the world of chart-topping pop music; he and the rest of Tame Impala treated Miguel's track "Waves" to their own remix earlier this year. Listen to the full Triple J segment in the player below.